During your diagnosis and the early stages of your TKI therapy, some sort of genetic testing will be done regularly to search for the Philadelphia chromosome and/or the BCR-ABL1 gene. The following types of tests can confirm or deny a diagnosis of CML. 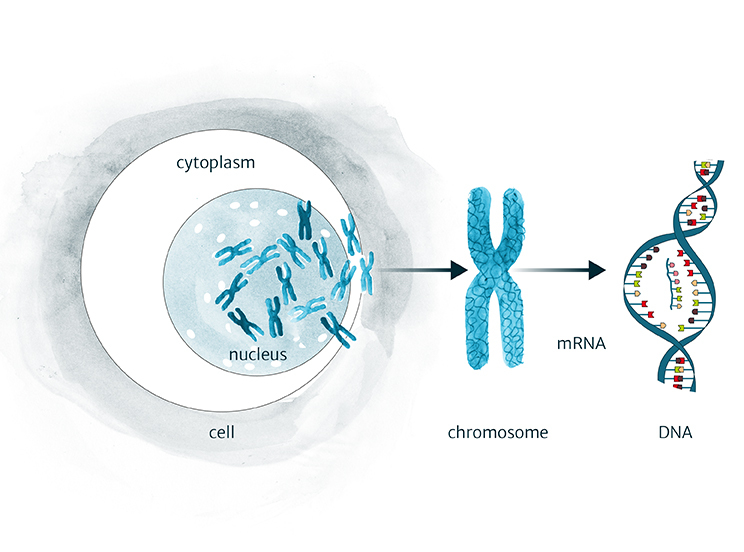 Chromosomes can only be seen when cells are in the dividing phase. Blood or marrow samples are cultured in the lab so that the cells begin to grow and divide, although this is not always successful. The dividing cells are looked at under a microscope to assess the number of immature vs mature cells as well as changes to chromosomes (pieces of DNA) and, in the case of CML, to detect the Philadelphia chromosome. Sensitivity is limited, typically detecting 1 out of 20 cells tested. Even when the Philadelphia chromosome is not seen, other tests can confirm the presence of the BCR-ABL1 gene. The polymerase chain reaction based qualitative test is used to diagnose Ph+CML by confirming whether or not BCR-ABL1 gene transcripts (copies) are present in a blood and/or bone marrow sample. It can detect very small amounts of BCR-ABL1, even when the Philadelphia chromosome is not detected in bone marrow cells with cytogenetic testing. A more sensitive method than cytogenetics, testing upwards of 50 to 200 cells. FISH uses probes labelled with fluorescent dyes which ‘light up’ the fused BCR-ABL1 gene sequence. Fluorescent probes are sections of single strands of DNA complementary to the specific portions of the DNA of interest, in this case the ABL1 and BCR-ABL1 genes. When slides are examined using a special microscope, the genes that match the DNA probe appear as bright spots on a dark background. 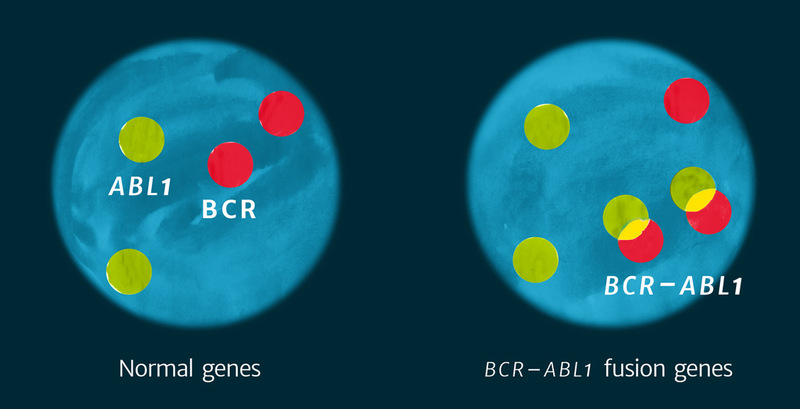 The test determines the percentage of cells in a sample containing the BCR-ABL1 gene. It can be used on either blood or bone marrow samples without the need to culture the cells, so results are available more quickly than with conventional cytogenetics.